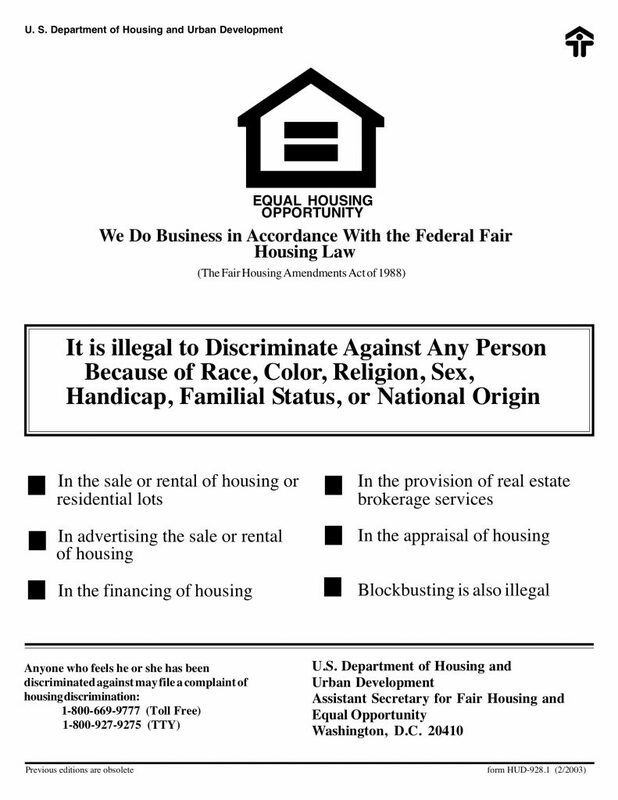 These Terms and Conditions are the terms of Lloyd Property Management Company, a South Dakota corporation, and its affiliates and subsidiaries, including, but not limited to, C.R. Lloyd Associates, Inc., Lloyd Asset Management, LLC, Lloyd Construction Company, Lloyd Real Estate, and Lloyd Residential Group, LLC (collectively referred to herein as “Lloyd”) in connection with your use of www.lloydcompanies.com and other community or property specific websites managed by Lloyd (collectively, our “Properties”). The terms “we”, “us”, or “our” refer to Lloyd, and the terms “You” and “Your” refer to you, a visitor to this site or a rental customer of Lloyd. This Website is offered and available to users who eighteen (18) years of age or older. By using this Website, you represent and warrant that you are of legal age to form a binding contract with Lloyd and meet all of the foregoing eligibility requirements. If you do not meet all of these requirements, you must not access or use the Website. The Website and its entire contents, features, and functionality (including but not limited to all information, software, text, displays, images, video, and audio, and the design, selection, and arrangement thereof) are owned by Lloyd, its licensors, or other providers of such material and are protected by United States and international copyright, trademark, patent, trade secret, and other intellectual property or proprietary rights laws. To impersonate or attempt to impersonate Lloyd, a Lloyd employee, another user, or any other person or entity (including, without limitation, by using email addresses or screen names associated with any of the foregoing). To engage in any other conduct that restricts or inhibits anyone’s use or enjoyment of the Website, or which, as determined by us, may harm Lloyd or users of the Website or expose them to liability. Without limiting the foregoing, we have the right to cooperate fully with any law enforcement authorities or court order requesting or directing us to disclose the identity or other information of anyone posting any materials on or through the Website. YOU WAIVE AND HOLD HARMLESS LLOYD AND ITS AFFILIATES, LICENSEES, AND SERVICE PROVIDERS FROM ANY CLAIMS RESULTING FROM ANY ACTION TAKEN BY THE ANY OF THE FOREGOING PARTIES DURING, OR TAKEN AS A CONSEQUENCE OF, INVESTIGATIONS BY EITHER SUCH PARTIES OR LAW ENFORCEMENT AUTHORITIES. This Website includes content provided by third parties, including materials provided by other users, bloggers, and third-party licensors, syndicators, aggregators, and/or reporting services. All statements and/or opinions expressed in these materials, and all articles and responses to questions and other content, other than the content provided by Lloyd, are solely the opinions and the responsibility of the person or entity providing those materials. These materials do not necessarily reflect the opinion of Lloyd. We are not responsible, or liable to you or any third party, for the content or accuracy of any materials provided by any third parties. All instructions transmitted by or received from anyone presenting your password or other credentials on the Website are binding to you. You agree that you are solely responsible for all transactions or acts that are validated through use of your password or other credentials, whether or not made with your knowledge or authority. You agree to guard your password or other credentials carefully, with the full awareness that a failure to keep it secure will enable others to engage in transactions through the Website for which you will be legally responsible. If you ever suspect that someone may have obtained access to your password or any other credential who is not intended to have authority to act on your behalf, please contact Lloyd and Yardi immediately, including instructing Yardi to refuse to accept any further transactions initiated under that password on your behalf. Lloyd has no liability for transactions initiated under your password without your authorization. If applicable, you agree to pay all application fees billable immediately to the account identified in your application for the purpose of application processing, which fees are earned upon the submission and receipt of an application or other payment. If payment is made by eCheck/ACH, you understand that if such payment is returned from the bank for any reason,you may be charged additional returned item fee(s) , which will be added to the original amount and auto-debited from your bank account approximately ten (10) days after the initial payment fails. In the event that subsequent fee collection auto-debits also fail, you may continue to incur fees related to such attempts. You assume all responsibility for all such fees. Returned item fees vary; please contact your leasing office for details. Additional fees may also be assessed by your bank and/or Lloyd. Your copy of the application will serve as a receipt for the application fee collected. Convenience fees may be charged by Yardi. Convenience fees are not surcharges. Yardi is a third-party vendor, who is not the sellor, lessor, or management company. Such convenience fees are not being charged based on any method of payment. All payment methods initiated through the online platform may be charged a convenience fee including, credit card, debit card, electronic checks, and cash payments. These fees are being charged by Yardi for providing the convenience of an online payment channel or other convenient channel. If you are applying for a lease, no guarantees are made to you that a unit or other property rental is or will be made available. You understand that you will acquire no rights in or to a property rental until you accept and sign a rental agreement and pay all applicable application fees and security deposits. You authorize Lloyd themselves or through any vendor of their choice to obtain such credit reports, criminal histories, character reports, verification of rental and employment history as it deems necessary to verify all information in your application. You further understand that false, fraudulent, misleading or incomplete information may be grounds for denial of tenancy or subsequent eviction. There are no warranties offered by Lloyd or Yardi, whether express or implied. You hereby authorize Yardi to initiate transaction entries, including convenience fees noted herein, to your transaction account number (including checking and savings accounts) and/or charges to your credit card. This billing will occur at the time of payment of each transaction. You hereby acknowledge that Yardi may apply a convenience fee with each transaction initiated through the Portal. Yardi may amend this convenience fee at any time with or without notice. All convenience fees will be displayed on the payment screen prior to finalizing your transaction. Lloyd and Yardi make every effort to comply with all payment processing rules and regulations. If you believe you have been charged a convenience fee in error, please contact Yardi at 1-800-866-1124. We advise you that your credit card or bank account billing statement will show a charge item that displays the name of the merchant account of the payee. If you are unsure of that name, you agree to contact payee before processing this transaction so as to be sure to recognize the transaction when it appears on your monthly statement. We reserve the right to cancel your transaction processing account at any time for any reason. Your payee may also decline/refuse any and all payments at any time and for any reason at which time we will return the payment amount entered into the electronic system through which you may pass payment information to us or Yardi (the “Portal”), minus convenience fees paid, in an appropriate and reasonable time frame. We reserve the right to refuse processing service to you at any time for any reason. You also maintain the ability to discontinue use of the Portal at any time for any reason. Active recurring payments must be deleted before use of service is discontinued. It is your responsibility to terminate any and all recurring payments on your account before relocating or moving – otherwise charges will continue to be assessed to your billing account during the period designated for recurring payments to take place. You agree to defend, indemnify and hold harmless Lloyd, Yardi, their affiliates, licensors and service providers, and its and their respective officers, directors, employees, contractors, agents, licensors, suppliers, successors and assigns for any recurring payments that are charged by accident or because you failed to cancel your recurring payment. You can cancel your service by calling 605-323-2820 or sending an email to admin@lloydcompanies.com. We, in our sole discretion, may cancel this service without notice. If you believe a transaction was made improperly, we in our sole discretion may void, issue a credit, or rescind any transaction made through the Portal prior to remittance of such payment to your payee. Payment disputes arising after payment has been settled to your payee are between you and payee alone. We may act as an intermediary if such actions can reasonably and efficiently handle said problem. Both you and payee mutually reserve the right to cancel, reverse or halt any and all checking or savings account or credit card transactions that have been cleared through the Portal. The owner of the Website is based in the state of South Dakota in the United States. We provide this Website for use only by persons located in the United States. We make no claims that the Website or any of its content is accessible or appropriate outside of the United States. Access to the Website may not be legal by certain persons or in certain countries. If you access the Website from outside the United States, you do so on your own initiative and are responsible for compliance with local laws. YOUR USE OF THE WEBSITE, ITS CONTENT, AND ANY SERVICES OR ITEMS OBTAINED THROUGH THE WEBSITE IS AT YOUR OWN RISK. THE WEBSITE, ITS CONTENT, AND ANY SERVICES OR ITEMS OBTAINED THROUGH THE WEBSITE ARE PROVIDED ON AN “AS IS” AND “AS AVAILABLE” BASIS, WITHOUT ANY WARRANTIES OF ANY KIND, EITHER EXPRESS OR IMPLIED. NEITHER LLOYD NOR ANY PERSON ASSOCIATED WITH LLOYD MAKES ANY WARRANTY OR REPRESENTATION WITH RESPECT TO THE COMPLETENESS, SECURITY, RELIABILITY, QUALITY, ACCURACY, OR AVAILABILITY OF THE WEBSITE. WITHOUT LIMITING THE FOREGOING, NEITHER LLOYD NOR ANYONE ASSOCIATED WITH LLOYD REPRESENTS OR WARRANTS THAT THE WEBSITE, ITS CONTENT, OR ANY SERVICES OR ITEMS OBTAINED THROUGH THE WEBSITE WILL BE ACCURATE, RELIABLE, ERROR-FREE, OR UNINTERRUPTED, THAT DEFECTS WILL BE CORRECTED, THAT OUR SITE OR THE SERVER THAT MAKES IT AVAILABLE ARE FREE OF VIRUSES OR OTHER HARMFUL COMPONENTS, OR THAT THE WEBSITE OR ANY SERVICES OR ITEMS OBTAINED THROUGH THE WEBSITE WILL OTHERWISE MEET YOUR NEEDS OR EXPECTATIONS. TO THE FULLEST EXTENT PROVIDED BY LAW, LLOYD HEREBY DISCLAIMS ALL WARRANTIES OF ANY KIND, WHETHER EXPRESS OR IMPLIED, STATUTORY, OR OTHERWISE, INCLUDING BUT NOT LIMITED TO ANY WARRANTIES OF MERCHANTABILITY, NON-INFRINGEMENT, AND FITNESS FOR PARTICULAR PURPOSE. TO THE FULLEST EXTENT PROVIDED BY LAW, IN NO EVENT WILL LLOYD, ITS AFFILIATES, OR THEIR LICENSORS, SERVICE PROVIDERS, EMPLOYEES, AGENTS, OFFICERS, OR DIRECTORS BE LIABLE FOR DAMAGES OF ANY KIND, UNDER ANY LEGAL THEORY, ARISING OUT OF OR IN CONNECTION WITH YOUR USE, OR INABILITY TO USE, THE WEBSITE, ANY WEBSITES LINKED TO IT, ANY CONTENT ON THE WEBSITE OR SUCH OTHER WEBSITES, INCLUDING ANY DIRECT, INDIRECT, SPECIAL, INCIDENTAL, CONSEQUENTIAL, OR PUNITIVE DAMAGES, INCLUDING BUT NOT LIMITED TO, PERSONAL INJURY, PAIN AND SUFFERING, EMOTIONAL DISTRESS, LOSS OF REVENUE, LOSS OF PROFITS, LOSS OF BUSINESS OR ANTICIPATED SAVINGS, LOSS OF USE, LOSS OF GOODWILL, LOSS OF DATA, AND WHETHER CAUSED BY TORT (INCLUDING NEGLIGENCE), BREACH OF CONTRACT, OR OTHERWISE, EVEN IF FORESEEABLE. This website is operated by Lloyd, 101 S. Reid Street, Suite 201, Sioux Falls, South Dakota 57103. All other feedback, comments, requests for technical support, and other communications relating to the Website should be directed to: admin@lloydcompanies.com.